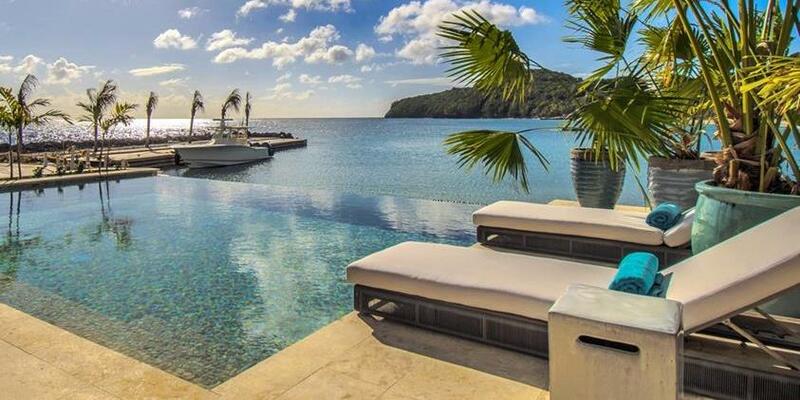 The Liming is a brand new luxury hotel on the charming island of Bequia which is set to open in November 2018, offering beachfront accommodation in a peaceful setting. The property is set within manicured gardens beside Adam’s Bay, a picturesque stretch of sand near Bequia’s south-western tip where guests can relax and enjoy their privacy. Accommodation options include contemporary junior suites and villas with one or two bedrooms, all with plenty of outdoor space featuring a private infinity pool or hot tub. Gingerlily is the property’s most luxurious option, a huge five-bedroom mansion set on a ridge with spectacular ocean views to the north and south. Three and four-bedroom villas will also be available in 2019. The Liming Restaurant serves creative dishes using locally-sourced ingredients, allowing guests to enjoy spectacular sea views from the dining room’s setting on a rocky jetty which juts out into the sea to create a sheltered marina for passing yachts. Guests can also dine in the comfort of their villas if they prefer. Bequia itself is a charming island which is well worth exploring, with numerous spectacular beaches and places of interest including a turtle sanctuary and historic plantations. Chartering a classic schooner or arranging a powerboat trip can be a great way to explore the neighbouring islands such as Mustique, Tobago Cays, Mayreau, Canouan, St. Vincent or Union Island. PADI diving courses, snorkelling at the world famous Tobago Cays or deep sea fishing trips are all available locally. Children: Children are welcome. Children aged up to 5 years old receive free accommodation on foldaway beds, while 5 to 18 years olds pay 50% of the extra adult charge. All children’s meals are chargeable. Airport: The Liming is under 5 minutes’ drive from Bequia Airport, reached by a flight from Barbados or St Lucia. Location: The Liming is located near the south-western tip of Bequia, about 20 minutes by car from Port Elizabeth. Facilities: Swimming pool, over-water restaurant, docking pier, manicured gardens. Suites and villas are modern and luxurious, all with private terraces and ocean views. Amenities include tea and coffee making facilities. Five Bedroom Villa: Gingerlily is a luxurious holiday home set on a ridge with ocean views to the north and south. There are five bedrooms, en suite bathrooms with a separate bath tub and walk-in shower, a state-of-the-art media room, dining room, kitchen, lounge, private pool and plenty of outdoor seating areas. A housekeeper is available to cook breakfast and lunch. Maximum occupancy: 10 adults.